One of the things I have worked hardest on is trying to figure out the base to the perfect curry. 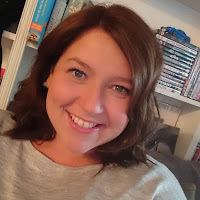 Because I only ever use a calorie controlled spray oil, I have in most cases always ended up with a watery curry – instead of the sumptuous tasty curries that I would find in my local takeaway. That being said, I’ve have picked up a few tips and tricks recently, that have been leading me in the direction of a winning curry one being fresh spices, and the other being using a good onion/garlic/ginger paste base. I don’t get a massive amount of times in the evening to cook – I like to batch cook during the weekend, but there will always be times where I need to knock up something really quick, filling, and yummy! I literally have zero time for dull food – and I would rather spend a whole Sunday in the kitchen cooking all my meals, than eat a boring sandwich or salad. This is where my wonderful BraunHand Blender MQ3126 Spice comes in. I can not only have a curry on the table in under half an hour, but I can make it using freshly ground spices, and the smoothest onion/garlic/ginger paste you ever did see! It really is the ultimate all-in-one cooking tool, for not just curry lovers but anyone who likes to get creative in the kitchen! It gets to grips with even the toughest spices making the perfect base to your curry. 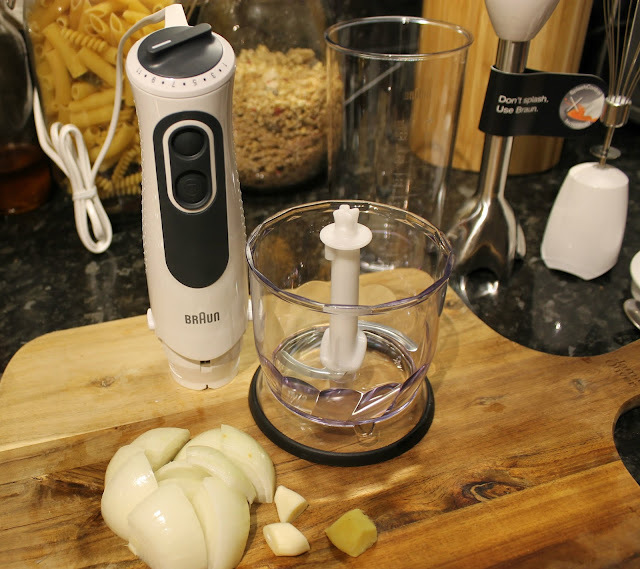 The mini chopper along with the 11 variable speeds, makes a paste from onions, garlic and ginger literally in seconds, and you will not see one lump present. 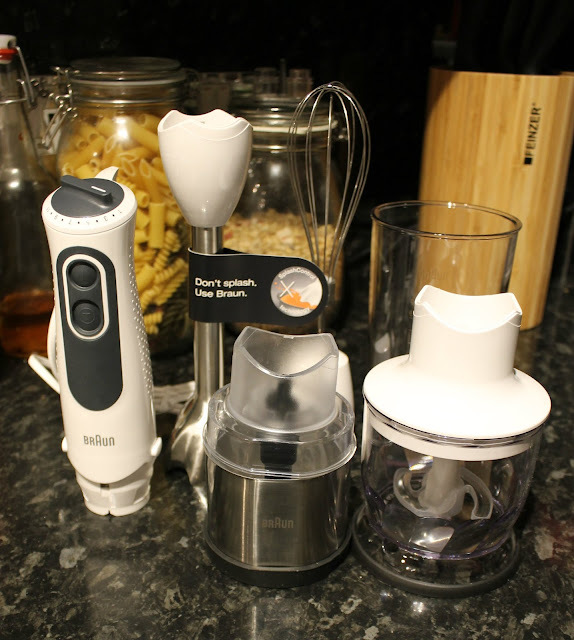 It also comes with a POWERBELL PLUS blending shaft which again has an extra milling blade, to make your soups, or sauces smooth as you like – best part about it, featuring incredible splash proof technology your kitchen and your clothes will remain spotless! And if you are anything like me – this feature is fabulous – especially if you ask my boyfriend!! The metal whisk and measuring beaker are also handy – and then you have the magical spice grinder. I shall let you in on a little secret – I was actually a little surprised at how good this little spice grinder was – I usually stand for ages with my pestle and mortar crushing my spices but this little gadget, gave me a really fine spice mix in seconds which took my curry to a level that no generic spice mix could have done. Now please don’t get me wrong – I am no award winning chef, and I’ve already told you I can be pushed for time in the evenings. My spice drawer is overflowing, but like most normal people I wouldn’t have exactly what was needed to create a freshly ground garam masala from scratch. Mainly because I don’t have the space to store all the delightful ingredients in my little kitchen – but also because of the cost. Therefore, I channeled my inner Jamie Oliver and came up with a little trick, that not only saved me some time – but gave me one hell of a tasty base to my curry. I had mostly all the ingredients to make a Garam Masala spice mix so put my little spice grinder to work to see how it fared! Place the bay, cloves, cardomon and peppercorns in your grinder. Pulse on a medium speed until ground. Add the cinnamon and coriander and give another pulse in the grinder. Et Voila – freshly ground cheats garam masala! Now all that is left to do, is to transform this heavenly mix into a completed dish! I am totally loving spinach and potato curry at the moment – literally can’t get enough of it, so when I saw the spinach and potatoes in the cupboard, I knew exactly what I was going to have for my dinner!! Add the water (reserve a little) & the tomato puree and simmer for 2 minutes. Add the chopped tomatoes and spinach along with the remaining water. Cover with a lid and simmer/steam the spinach until its wilted. This is an independent review, all thoughts are my own and I was not paid for the privilege, but I did get enlightened to a kitchen product I can't now do without!